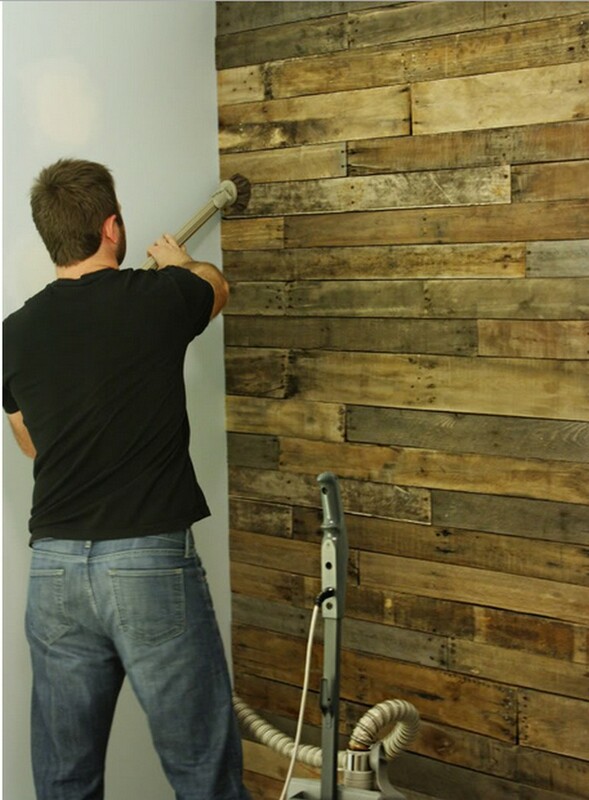 If you like the idea of creating a timber feature wall, why not make it out of recycled pallets? This way, the wall can be made for a fraction of the cost of store bought timber and you are helping the environment. If you aren’t able to find or collect enough pallets, you can use reclaimed timber as an alternative. The cost is still minimal but brings great effect to your home’s interior. This is a simple project that you should be able to complete in a weekend or two, as long as you have all the required materials, hardware, and tools. And if you’re a new DIYer, get some help from your experienced friends or relatives. Not only do you get an awesome wall, you also learn new skills! Like the idea of an inexpensive and easy to build timber feature wall? Then this project might be for you!